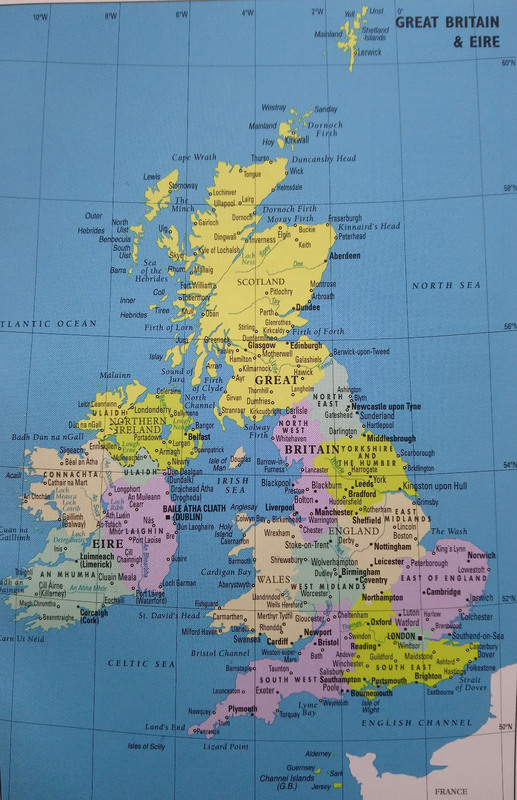 “We decree: great peace and great joy will permeate the atmosphere over the British Isles and Ireland. 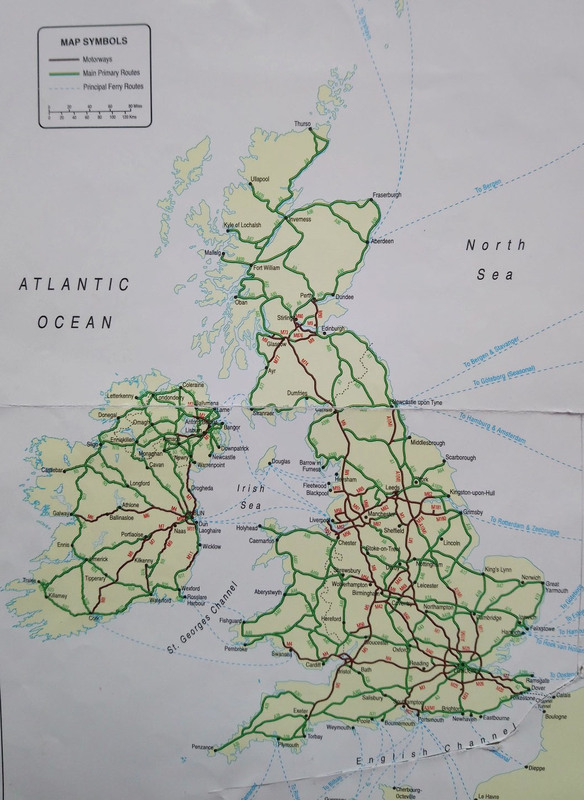 Therefore, beyond specific locations within the United Kingdom, we daily include the Republic of Ireland in that prayer as if we’re one entity, as is graphically implicit in this second map. Moreover, as negotiations with the EU have met their greatest hurdle dealing with customs issues between the EU and UK at the ‘seamless’ border between Northern Ireland and Ireland, it seems to me that maybe the Lord’s heart is for ALL our isles to be as separate economically as we are geographically from the continent. That is, that we should become our own ‘common-wealth’ within greater worldwide trade. In view of the devious EU’s demands and intransigence maybe the Lord’s put it in their mind to make a nonsensical requirement? That is, an extra ‘backstop’ to a ‘backstop’ clause for customs operations at our Eire/EU border in Northern Ireland! I agree Simon’s conclusion and, in my humble opinion, this dream also indicates that – in a surprisingly novel way – the historical perspective on this crucial matter requires serious reconsideration. Germany is the predominant power within and thus directs the EU (some suspect it’s a ‘Fourth Reich’, or German empire) but the dream’s dating is highly unusual, as is the role-reversal between Germany and Britain in view of our historical involvement with Ireland. Indeed, in view of its present timing this reversal may connect with the prophecy of the “curse being reversed and overturned” – which itself was brought through a prophetic ministry in Northern Ireland!! So, maybe Simon’s dream is yet another confirmation of the previous post’s content? Hopefully therefore, the Irish government will start looking afresh at their situation in the EU and change allegiance to their ancestral foe – the Union of Great Britain! Exactly 100 years ago Germany had faced a sudden reversal in its military fortunes. In July 1918, Allied French general’s Petain and Foche changed tactics to halt general Ludendorff’s smashing through British troops at Arras and subsequent broad offensive. With tanks breaking the stalemate of trench warfare and backed up by aerial attacks from the new Royal Air Force, and reinforced by Canadian and Australian plus French, Belgian, Portuguese troops and newly arrived American armies, the Allies breached the German lines in September 1918 and reversed the enemy’s advance! So, with Germany in retreat 100 years ago this month the Central Powers of Austria-Hungary, Turkey and Bulgaria began making peace overtures, and in early November German generals agreed to a cessation of hostilities commencing 11 November 1918 (see ‘The Armistice’). Will history now repeat itself with the German-led EU going into retreat and giving in to Britain’s demands for a quick, complete separation from the EU’s customs union? Or else, perhaps the EU too will meet with a sudden, great reversal and collapse, as in several contemporary prophecies (eg. this recent urgent word, and on the EU being weighed). This entry was posted in Europe-EU, Politics, Prayer, UK and tagged Brexit, God-incidents, Government, Ireland, Prophecy-today by Richard Barker. Bookmark the permalink. Thanks Lena, kindly share if so led.